Endemol Shine Group has pledged to reduce single use plastic across all our offices and productions globally. We are asking our colleagues to reduce, reuse and recycle plastics, whilst improving all our recycling efforts. 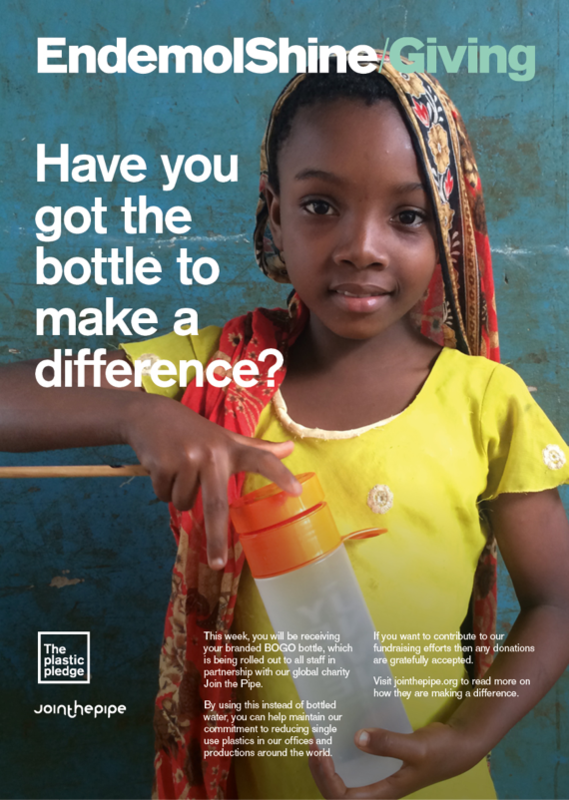 We are also bringing awareness to the environmental impact of the production and waste of bottled water, providing sustainable alternatives where water is scarce. 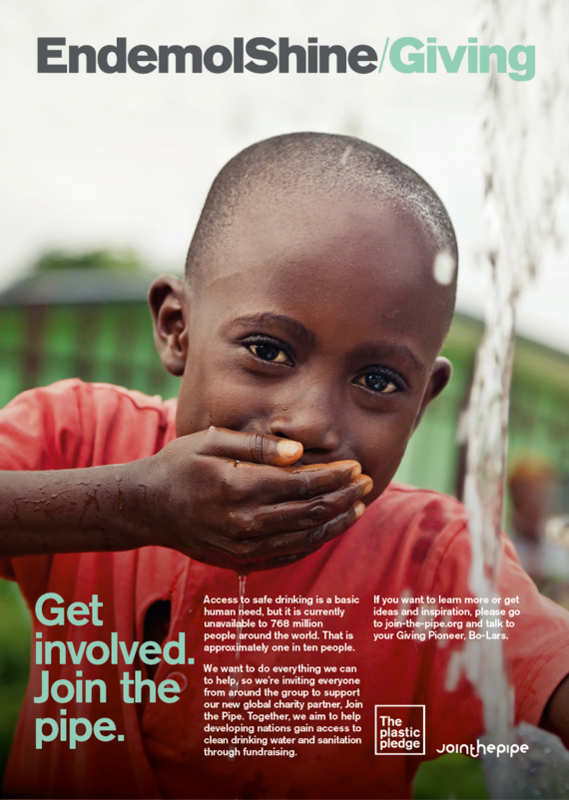 Through a partnership with Join the Pipe our group fund raising efforts will help build and install permanent fresh water solutions, particularly in African communities where it is most needed. Collectively we can help those in need and protect our oceans for future generations.